Nappies… check. Wipes… check. Rash cream… check… bottle… check. Pacifier… check. And the list goes on for all the essential items needed for packing your daily nappy bag. You’re pretty much prepared with everything you know your baby will need without a doubt. But do you have the most essential item needed for those “just-in-case” emergency situations, like if a bottle needs warming and hot water accidentally spills on your baby. A burn takes a second to occur and a lifetime to heal if treated incorrectly. Burn injuries are on the increase where 50% of burns occur in the domestic environment, and burns are the most common external cause of death in children younger than 4 years old (the common cause: hot water / scalds and electrical burns). 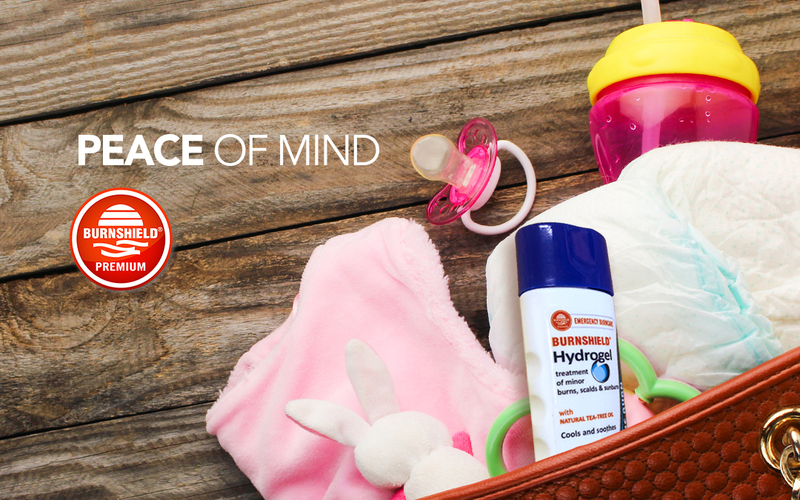 When you are out and about with your baby, have peace of mind with Burnshield in your bag. 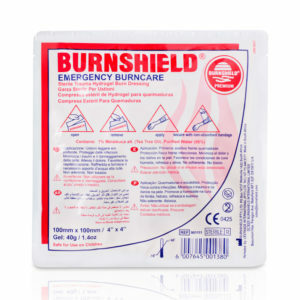 Compact, light-weight and sterile, Burnshield has a range of Hydrogels that will conveniently suite your space, time and pocket. We agree that initially when burnt, to run cool water over the affected area for 20 minutes, however, when out and about who really has access to sterile running water and for that time period. (Getting a baby to stay relatively still during a nappy change is tough enough). 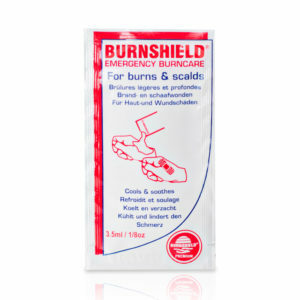 The Burnshield® range varies from Hydrogel sprays, squeeze bottles and tubes, to dressings which provides covering and keeps the burn moist and clean. These convenient pocket size sachets are for single use only and can be stored literally into any nook and cranny. They say dynamite comes in small packages, this 25ml tube can drastically help in emergency situations. 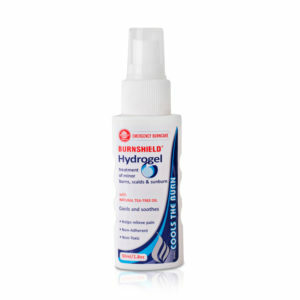 It can be used for superficial / partial thickness burns, sun burn, rehydration of Dressings and difficult to reach areas. 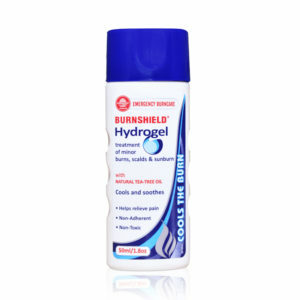 Whether you prefer to spray it or squeeze it, the Burnshield 50ml caters to both preferences for easy use. 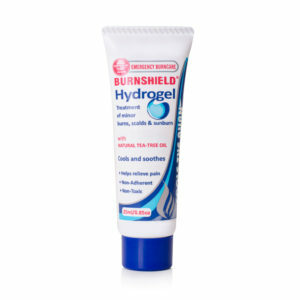 This Dressing is an open-cell foam which is soaked in the Burnshield Hydrogel and packed into a foil pouch. The foam conforms to the would area and acts as a natural covering. Want a collection of supplies and equipment for a variety of medical treatments?